During my journey of becoming a professional director, and my research into M.F.A. directing programs, I didn't find a lot of information. So I share this experience to shed light on the career path from a young director, and to give something for you to compare to if you're considering a career in directing and/or an M.F.A. For those who don't know me; I’m a theatre professional who works both in the administrative and artistic field. For eight years I was making a living wage as a full-time administrator and a part-time artist. In March 2013, I flipped my roles and became a full-time director and a part-time administrator. 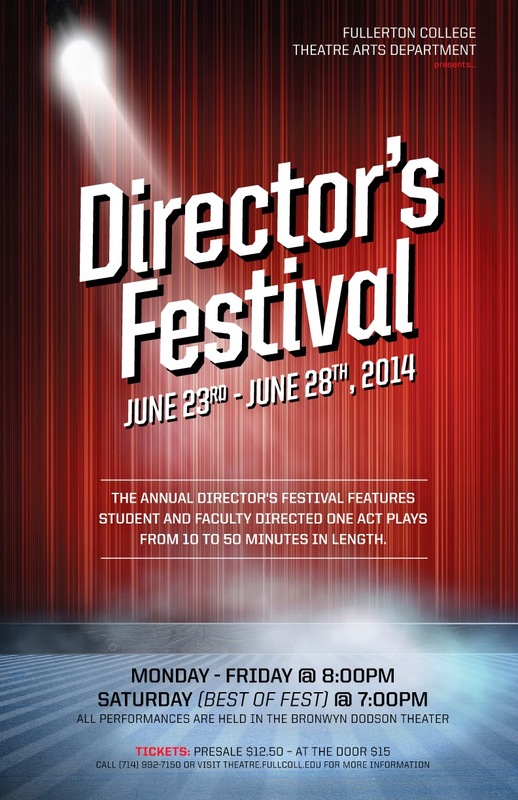 During the past year I've held five assistant directorships at three different LORT theatres, two that paid minimally. Some of these AD positions were simple asks (not to discount the years of relationships that were built to make these opportunities accessible) while others were major application processes with letters of recommendations, interviews, etc. During that year, I also directed numerous readings, a fully produced show for my own theatre company and a tour for young audiences. I felt like a “working” director who wasn't getting paid much, and I needed to find the next step in my career. I know how to tell a story, lead a rehearsal room and work with designers. I understand the function of a director, and yet I’m not too proud to say, I still learned plenty in my year of assistant directing. One of the major things I learned was what a career in directing meant. In a 2011 TCG Panel (A Director’s Life), some of the nation’s finest directors and artistic leaders discussed what it means to be a working director. Jumping from regional theatre to regional theatre, directing plays, workshops, readings, etc., was considered to be a “mid-career” director. This floored me as I considered those directors to have “made it.” I considered someone who directed consistently at local small and mid-sized theatres and getting a few regional theatres jobs to be a mid-career director. The years I spent at South Coast Repertory admiring the directors who came through our doors, I never thought of any of them as mid-career. I thought, “They have made it! They’re living the dream!” But spending time with these directors and a few artistic directors, swapping stories about theatre and their careers, the big goal became clearer. One of the obvious pathways is to become an artistic leader for a theatre company, hopefully a position offering you a salary of some kind as well as opportunities to direct while voicing and shaping your artistic aesthetic. Another is the educational route; teaching seems to be one of the most stable/flexible day jobs that allows a director to still direct. Finally, many directors and artists I know won’t admit it, but they’re independently wealthy or financially supported by a loved one. These seem to be the most common ways early- to mid-career directors are building their careers while maintaining financial stability. A panel with some of Southern California's Artistic Directors, many who are working directors. My past year of directing came from the latter path. I knew months in advance before leaving my job that I wanted to go, so I started saving like crazy. I fortunately had a mother who had an extra bedroom and was willing to stop charging me rent once I left my job. And I also racked up a fair amount of credit card debt. With my finances disappearing, I needed to reroute to one of the other paths or suddenly become a mid-career director who was actually making a barely living wage. My ability to take non/minimally paying work was diminishing. And paid directing work in Los Angeles is scarce. Hell, paid assistant directing work in Los Angeles was scarce, and some of the LORT theatres in L.A. started telling me I was too experienced to be ADing for them, especially for free. The rarely found paid 99-seat and mid-size theatre work in Los Angeles went to already established directors in the region, and it was hard to break in to those artistic networks even with the strong relationships I had built. As I said, I found myself “working” a lot but without getting paid. The Los Angeles theatre scene has long battled the stigma of not being a “theatre town.” I don’t doubt that we are. This town is riddled by theatre companies and artists. You can’t turn around without getting a postcard for someone’s show dropped in your lap. But is Los Angeles a professional theatre town? When a majority of the “work” available is unpaid, how do you call doing that work a profession? It wouldn't be the Silicon Valley if it consisted only of Facebook, Google and Apple, and a whole bunch of small companies run by 90% unpaid interns (sorry Friendster and Netscape). The scarce amount of paid artistic work and the countless number of theatres who hold professional standards without paying a professional wage made me realize, I can never make that leap to becoming a mid-career director in Los Angeles. Perhaps I could return and sustain a mid-level career, but I won’t be able to break into it. I suddenly became obsessed with looking at other directors’ careers; their experience, their education and their voice. Many veteran working directors (50+) didn't have a master’s degree. They worked up the ranks when it seemed the field was less competitive and there was more national arts funding. 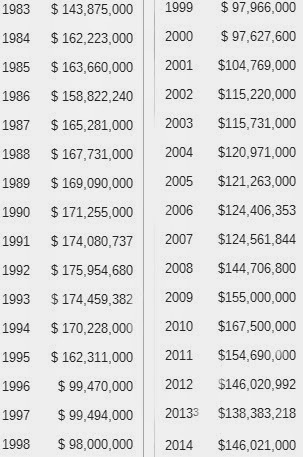 (Hard to believe there was a time when there was more funding, but compare the late ‘80s/early '90s funding of $160-170 Million to today’s $130-140 Million). Their decades of experience directing professionally is certainly more valuable than a degree. But even several of these veteran directors I assisted had a Master’s degree. A meeting with the SDC Foundation led to speculations that a large percentage of professional working directors under the age of 40 have an M.F.A. in directing. With more than 46 M.F.A. Directing programs in the U.S. churning out two to six directors a year, we’re seeing more than 100 new directors entering a pool of 75 LORT theatres with seasons not expanding. It started to become clear that the M.F.A. was becoming the minimum standard for young directors. I eventually settled on applying to three M.F.A. programs. Yale; because looking at the financials again, Yale offers a great financial package and the alumni network is ridiculously connected. Northwestern; because several colleagues coincidentally mentioned Chicago’s theatre scene as a great entry point, as well as Tony Award-winning director Anna D. Shapiro is on faculty there. The New School for Drama; because, well...New York, I wanted to diversify my applications, and I missed the Columbia deadline. (Obviously these are the most superficial reasons. More depth went into these choices, but in honesty these were some of my deciding factors). I’m forever thankful to those who wrote recommendation letters for me, assisted with my statement of purpose, and gave me interview coaching. I landed an interview at all three schools, but in the end I found myself accepting admission to The New School. (Admittedly, it was the only school that accepted me, but before I even heard from one of the other schools, I realized The New School was right for me.) While not my original 1st choice, it clearly became the best choice. Let’s just say, their callback session will clearly layout whether it is the right program for you, or not. (Ask around enough and you’ll know what it is, but I sort of enjoy the surprise and mystery they try to maintain around their callback). Just being in New York felt right, I spent a week prior to my interview seeing shows, meeting with working theatre colleagues, and just re-discovering the city. If I want to become a working theatre professional, it seemed like a no-brainer that I needed to establish some roots in New York. The New School's program has built its accessibility and relationships with working theatre professionals, giving its students access to amazing mentors and networks. And the staff and faculty just seemed like they were having a good time. You can’t fake that kind of positive energy. As I look toward the upcoming three years of study, I can’t help but be excited for what seems to be a clear yet challenging path of becoming a professional theatre director. Three years of focused study will allow me to really expand my artistic vision while defining my voice. Being in New York will give me a myriad of new relationships to build upon. I also look back at those who have supported me and taught me so much. My time at LA Stage Alliance, East West Players, South Coast Repertory and Oregon Shakespeare Festival gave me valuable experience. 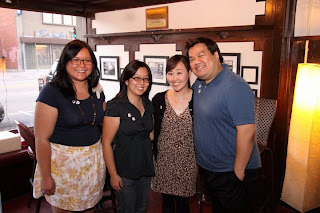 The co-founders and community of artists and audience at Artists at Play provided loving support and encouragement. Great directing mentors like Pam MacKinnon, Marya Mazor, and Juliette Carrillo taught me so much. Fabulous actors, writers, administrators, and designers whose numbers are too great to list and talents to magnificent to contain, I thank you all. Thank you for preparing me for the next great step of my life that will make me a better artist for you. The foundation of using theatre as a means to entertain, educate and inspire comes from the experiences of working with amazing people. And, I hold on to this as I embark on this journey.